Accomplished as he is — doctorate in psychology, director of the Yale Center for Emotional Intelligence, and a professor in the Child Study Center, Yale School of Medicine — Marc Brackett HATED school. He used his own struggles — being bullied, shutting down — to illustrate how hard it is for students to learn and thrive if they don’t have the skills to handle their emotions or feel safe and supported enough to talk about them. 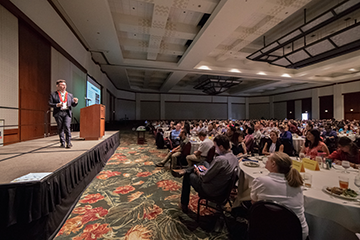 To a riveted audience of 1,500 teachers and administrators at the 2016 Schools of the Future conference in Honolulu, Brackett reinforced a central premise: EMOTIONS MATTER. They drive learning, decision making, creativity, relationships, and health. If teachers and parents don’t know what’s going on with a student at a granular level, and if that individual can’t identify what is going on either, everything suffers—at school, at home, at work. As a start, “You’ve got to name it to tame it,” said Marc Brackett. 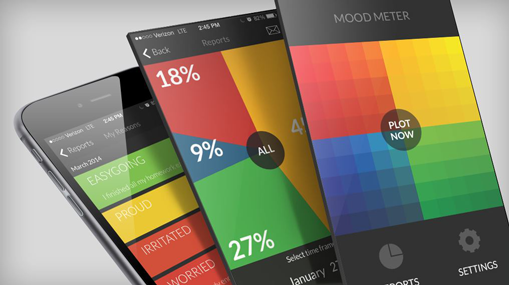 The Mood Meter App, developed in partnership with HopeLab based on research from Yale, was designed to help users recognize their emotions in order to deal with them. 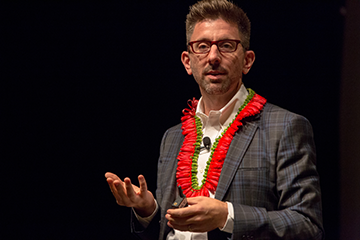 Real-world implementation is a driving force for Marc Brackett, so while emotions are complex, the social emotional learning (SEL) programs he’s helped create are not. RULER, an evidence-based program adopted by over 1,000 schools (including St. Andrew’s Schools in Hawaii), offers tools for recognizing, understanding, labeling, expressing, and regulating emotions throughout every school day. Brackett believes people need to develop multiple strategies for dealing with the full range of emotional experiences. A new initiative called InspirED, born out of a partnership between Yale and Facebook, is an online resource center designed by high school students, educators, and SEL experts to help create a positive school climate, since how students feel impacts how they learn and how teachers feel affects how they teach. To see a video of or review the slides from Dr. Brackett's keynote speech from the 2016 Schools of the Future Conference - click here. For more information, Yale Center for Emotional Intelligence.